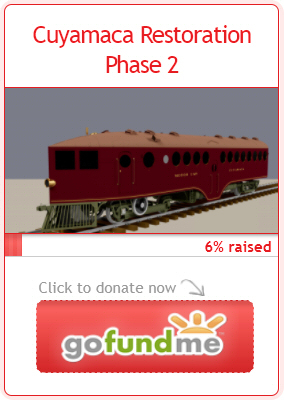 Silver Peak Railroad | The McKeen Motor Car Website Silver Peak Railroad | The Compendium of Knowledge on the McKeen Motor Car Company, and their experiments. 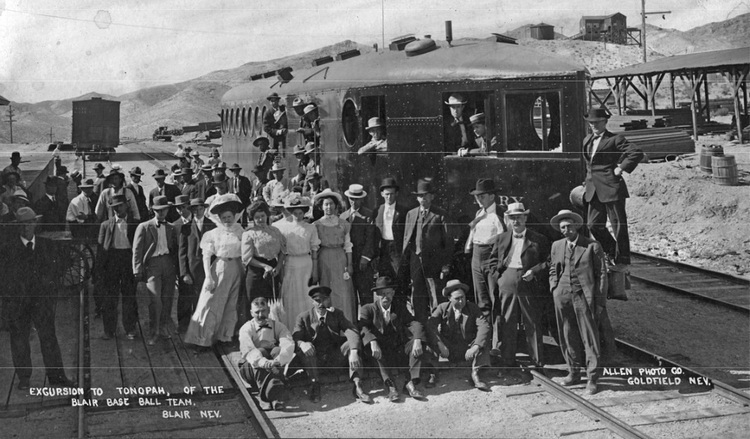 This photo shows an excurion of the Blair Baseball Team riding the McKeen Motor Car “Mary” to Tonopah. The “Mary” could haul about 50 people and had about 13′ of the car devoted to baggage and possibly tools since the car was used for logging and mining use. The car was 55′ long, weighed about 30 tons. The car was built in 1908 and was builder’s number 021. “The Silver Peak opened in 1906 and operated 17½ miles of track in Esmeralda County – from Blair to the Tonopah & Goldfield Railroad at Blair Junction. The line primarily served the 120-stamp Silver Peak mill. Operating with a two-man crew, the passenger-and-baggage motor car’s leisurely trip over the line took 45 minutes. The fare was $1.75 and in 1912 passengers averaged three per trip.